BRYAN EATON/Staff photo. 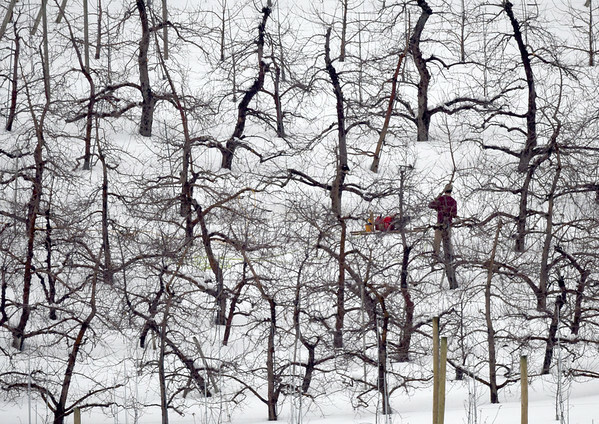 A worker at Cider Hill Farm in Amesbury stands among apple trees while pruning on Wednesday morning. The farm had a good crop of apples last year, losing the peach crop to a killing frost after buds had started to develop during a warm spell.